As a Grand Design Solitude fifth wheel dealer, we are proud to offer the most spacious, extended stay fifth wheel offer by Grand Design on the market today. 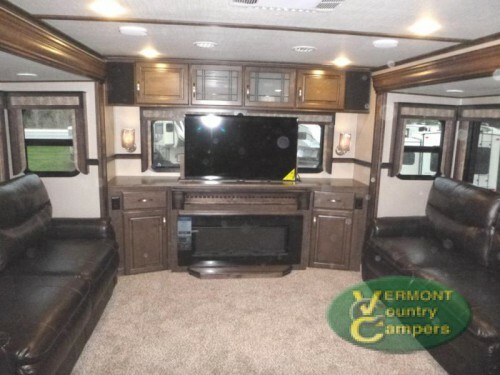 Every space of this camper is made with additional features to make your long term trips easier and more enjoyable. Let’s check out the top 4! Take your next extended trip in the Grand Design Solitude fifth wheel. Depending on which Solitude fifth wheel floorplan you want, you will have a choice of getting anywhere from three to five slides. With this many slides, the interior will be larger and better able to house more amenities as well as provide sleeping space for up to eight people to make those extended stay vacations more comfortable. With long term trips, there will be times that you will need to be indoors, whether that is during the evenings or on days of inclement weather. When these times comes, you will want high quality furniture on which to relax. Therefore, things like the power reclining theatre seating with LED light packaged, heat, and massage will provide that extra bit of luxury in the living room, so you can enjoy the big screen TV the right way. With up to 5 slides, you’ll have plenty of space and high quality amenities in every area. Due to the rising costs of eating out, cooking at the campground will be essential to any long term trip. 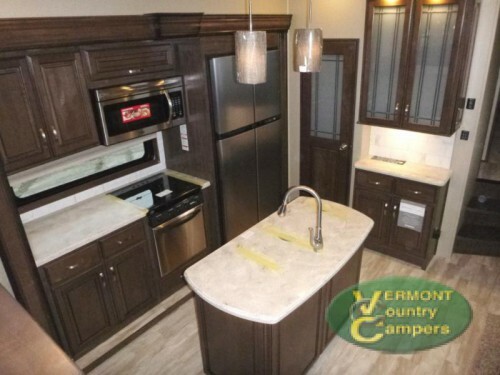 Luckily, the kitchen of this Grand design camper is stocked full of residential features to make cooking easier. Pieces like a real tile backsplash, solid surface countertop, prep space for a dishwasher, and optional stainless steel French door fridge will create a beautiful and functional space where you can cook, prepare, store, and enjoy your meals every night of your trip. You’ll love cooking in the large, residential style kitchen. 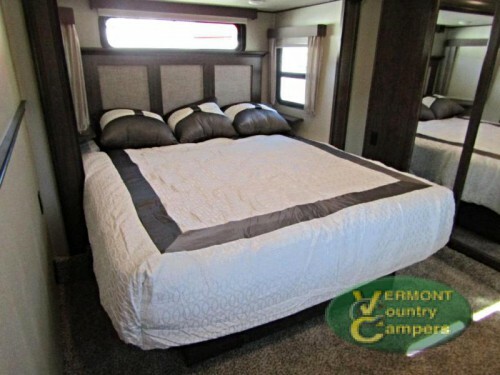 While on these long term RVing trips, you will spend each night in the master bedroom, so this space will need to have every amenity to create the perfect master retreat. This space comes standard with a queen sized bed that can be upgraded to a king size for even more luxury. And with plenty of storage space including a prep area for a washer and dryer, you can stay out on the road as long as you desire. Get the perfect master suite for long or short trips! Every area of the Grand Design Solitude fifth wheel is built to make your next long term trip more luxurious. 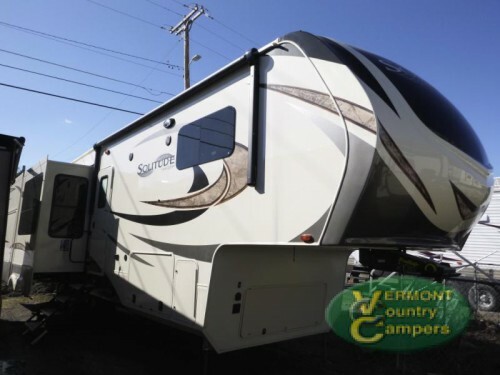 So be sure to contact us or come down to our location today to learn more about everything you can get from this incredible RV, so your next extended stay vacation will be the best one yet. Winnebago View Review: All It’s Lacking is You! Sprinter Campfire Edition Review: Make Camping Easy!